Our A100L2 and A100LK/A100LM anemometers are frequently used for surveying and evaluating the suitability of sites for wind power generation and are the only commercially available types with a long track record in this field which have the required Class 1 performance (a.k.a. "First Class") according to the requirements of IEC and MEASNET. 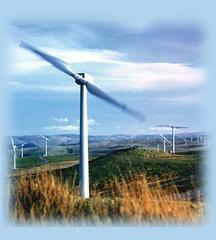 These instruments are also suitable for use in Wind Turbine Power Performance Testing applications. Page Rendered in: 0.260007 seconds. - Powered by Mambo.